Parenting is a mine field, emotional roller coaster. To quote my mother in law “children are a worry but are a complete joy too”. No-one talks about the f**king 3’s it’s all focus on the terrible 2’s but I can honestly say I would rather experience the terrible 2’s again than go through this “phase” we’re going through with LPV. He’s not really naughty he’s just bloody draining, he’s just got to have the last word. If he’s bossing his sister around I say “don’t be a bossy bridges” now he quotes me back. We’re clashing so much, he is so cheeky and sometimes rude I find it so draining. The constant whining if he doesn’t get his way make me want to stick pins in my ear drums. Anyway today was one of the epically draining last word days. We drove home he fell asleep two minutes away from home, I carried him to bed so he got a wee snooze before we went to his buddy’s house for dinner. Finally starting to relax I got everything ready we needed. 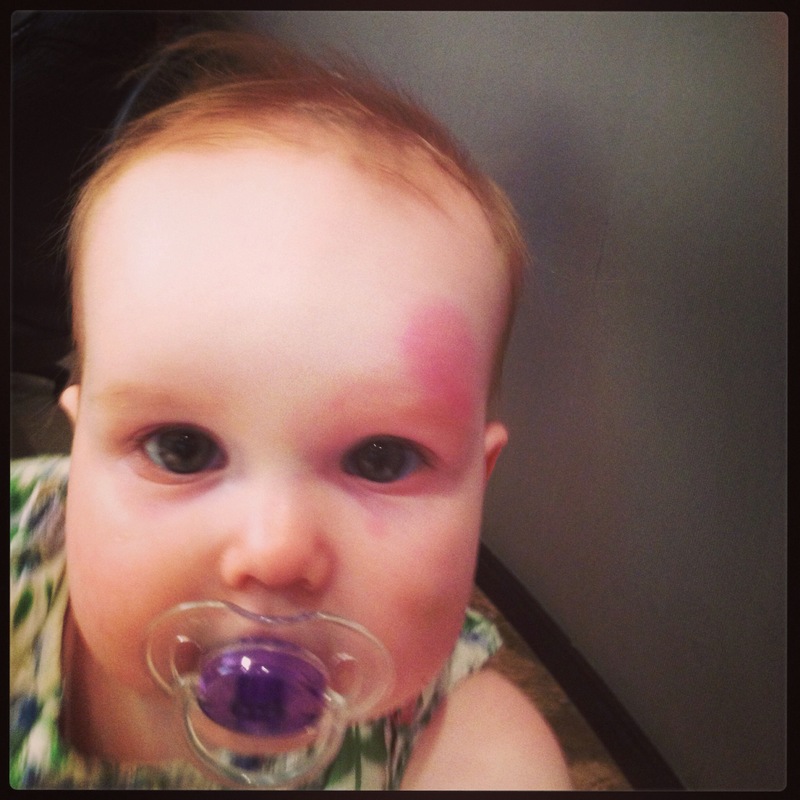 Without going into the details as I’m still a little weepy my wee precious girl fell head first off the bed. Landing on the carpet with a ceramic tiled floor underneath. She cried but was a little lethargic we ripped LPV from his slumber and headed for the car. I asked the concierge where the nearest A&E was, I was in a bit of a state, worried and riddled with guilt as it happened on my watch. There was panic in the lobby, the duty manager wanting to call ambulances. I was very sweet they cared so much, I assured them it wasn’t needed. There’s a lot to be said for paying for your own healthcare, we walked straight into A&E and were seen within minutes. They requested a X-ray for miss C to be sure she was ok. This prompted a family sing along of the jolly phonics X-ray song. X-rays all clear, we’re allowed home, from start to finish 1 hour. No waiting and good care too. Everyone in this house is shattered, my head is pounding with a stress headache, I just pray tomorrow is a better day! Hang in there. You aren’t alone on the F***ing 3 year thing! I can’t believe that so much is talked about the terrible 2’s and not about what follows. It’s the talking back and the stroppiness that sometimes does seem worse than when my son was 2. Not to mention that now he is only 3 1/2 but weighs 21lbs or 41kgs and wrestling with that when he is naughty is a nightmare. He is wearing 4-5 year clothing. He is so tall but not mentally which is the struggle. Thankfully the bedtime battle here is about to start and thankfully bedtime. The one good thing he is excellent at is going to sleep!!! Oh bless her. Wishing her a speedy recovery. Id be scared if something like that happened to v. Im an expat too who doesnt speak the local language nor do i drive. Im on of those mummies that wraps there kid up in cotton wool through fear of situations like this. Have a glass of wine, hot bath and rest. Oh goodness, I’m glad everyone is ok! I’ve been there with the epically awful days and falls that required a trip to the hospital. Put them to bed, pour the wine and alternate between sips and bites of chocolate. Awww… hope you all feel better soon! Thanks for sharing! Aw – glad everything is ok! She’s fine now, all her X-rays were clear, so scary isn’t it? Ahhhhh so with you on the three-year-old thing; when will it end?!? For the most part Harry is a real joy and I know we are incredibly lucky but the increase in vocabulary means answering back, shouting and we’ve even had door slamming that a teenager would be proud of! So sorry you had that shock (the fall not the 3 yr old). Really pleased you got the all clear. Hang on in there with the wee man. He’s 3 AND had a lot of changes. Don’t read my blog and then you won’t know how horrendous the teen years are.